One of the great things about movies is their ability to expand our knowledge of history with the depiction of little known true stories. 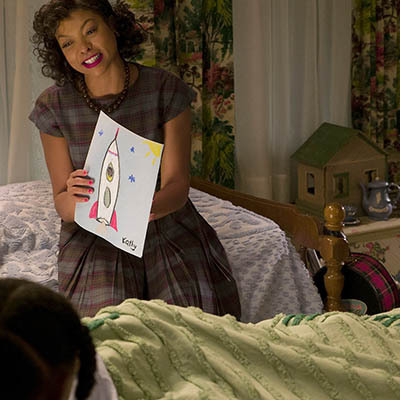 Hidden Figures is all about the African American women who worked at NASA to help get the first American man, John Glenn, into earth’s orbit in the space race with Russia. The women were not employed as secretaries but as mathematicians, or “computers” as they are called, who checked the numbers without the benefit of actual computers on the orbits and the tricky figures required for reentry to earth from space. They also acted as engineers and supervisors in the space program. 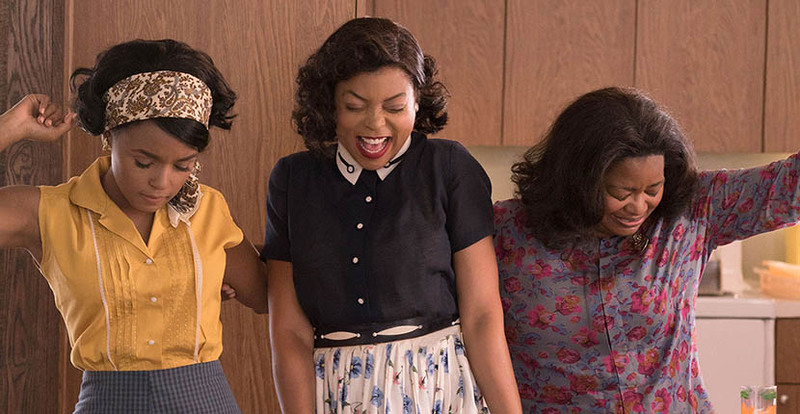 Taraji P. Henson, Janelle Monáe and Octavia Spencer are the stars of Hidden Figures. Each of them experiences and overcomes racism and sexism in the largely segregated workplace at Langley Research Center in Hampton, Virginia. The main character, Katherine Goble, is played by Taraji P. Henson and nothing like her character Cookie on Empire. Katherine is a total, well, nerd and Taraji plays her convincingly alongside her boss Al Harrison (Kevin Costner) and supervisor Vivian Mitchell (Kirsten Dunst). Jewelry enters into Taraji’s part of the story a few times. First there is a verbal mention of pearls. They are the only jewels women in her department—and there were only two women in her department—were allowed to wear. The film takes place in 1961 when a strand of 14-to-16-inch pearls were ubiquitous, virtually de rigueur, daywear. High profile women always had them on. 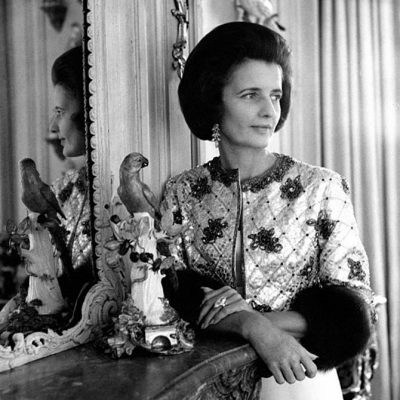 Think of Jackie Kennedy in the White House. Even a few years earlier Queen Elizabeth was always in a strand. In the Nextflix series The Crown, Elizabeth and her sister Margaret are rarely without them. In Hidden Figures, after experiencing one too many indignities Taraji goes on a tirade and one thing she mentions as being ridiculous is the pearls. She says, she couldn’t afford them on her salary that is so much lower than the other members of the team. When her colleagues begin to see her brilliance, indeed her necessity to the work they are doing, they give her a strand as an engagement present. The love story between Taraji, a widowed mother of three in the movie, and a military officer played by Mahershala Ali is a subplot in the film. Though there are only a few scenes between the couple, each are poignant. The moment when he asks for her hand in marriage with what looks like a sapphire and diamond three-stone engagement ring is one of the most romantic proposal I have ever seen in a movie. 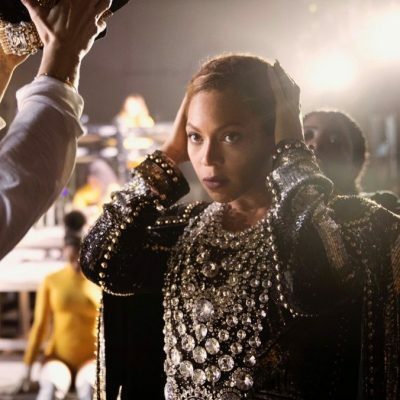 There were no photos of the jewelry in the Hidden Figures available for this post. You will have to go to the movie to see them and more importantly to learn about these amazing women.